Is a decades-old comics fan and a bunch of other things besides, like a professional licensed counselor and a huge introvert. 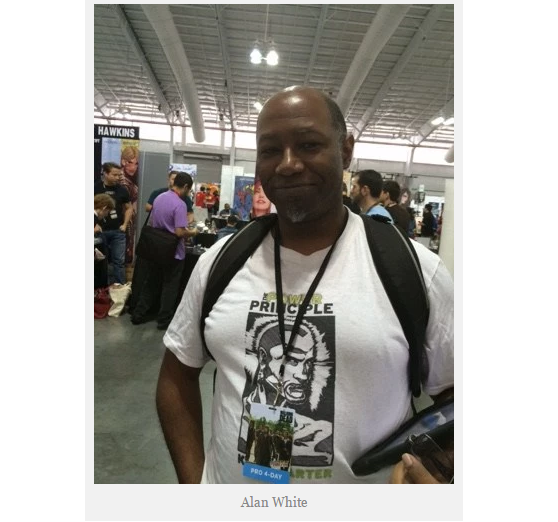 Alan White has been a writer for about 40 years and an artist for about 4 or 5 years longer than that. He works as a Licensed Mental Health Counselor for the state of New York and runs his practice out of midtown Manhattan. It all ties together for one gloopy digital mass inside the pages of The Power Principle.